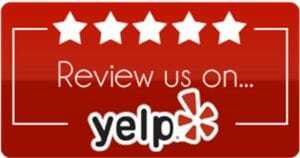 Looking for dental services in Asheville that can serve all your oral health care needs? As general family dentists in Asheville, NC, we perform a wide range of procedures to fully accommodate you and your smile. From dental implants, CEREC same-day crowns, and extractions to cosmetic procedures such as teeth whitening and porcelain veneers, we’re committed to offering high quality, state-of-the-art dentistry in a professional and caring environment. We begin each appointment by listening to our patients’ needs and concerns. We even offer sedation dentistry if you experience dental anxiety to maximize the comfort you’ll feel at our office. To establish a baseline of oral health for your unique smile, we complete a comprehensive examination, which may include an oral cancer screening and x-rays. We then discuss our findings and offer options to arrive at a personalized treatment plan for you. Our specialty is bringing patients to a level of oral health that can easily be maintained with home care techniques and regular dental checkups. Our goal is to ensure each patient leaves our office in excellent dental health with a fresh, youthful smile. As an Asheville family dentist, we pride ourselves on being able to serve patients of all ages with the best care provided in a comfortable, professional environment. We know getting your kids to the dentist isn’t always easy, but your kids will love coming to visit us at Saunders DDS! We make your child’s visit safe, comfortable, and can even help motivate your children to take better care of their teeth. Have anxiety about visiting an Asheville dentist? We make every effort to provide you with the best care in a worry-free atmosphere. Ask about our sedation dentistry when scheduling your appointment, or stop by to speak with us beforehand. You don’t have to avoid proper dental care because of your dental anxiety. Our technology makes procedures minimally invasive and safer than ever. To help you understand your options with our dental services in Asheville, we’ve included descriptions of some of our leading services. Our priority as an Asheville NC dentist is ensuring that you’re comfortable and at ease with us. Perhaps you’ve had little experience with dentists, or maybe you’ve had traumatic visits to your dentist as a child. Let us reassure you that things have changed since you were a kid. Dental treatment has advanced to keep any procedure you may need comfortable and pain-free! We accept cash, MasterCard, and Visa. 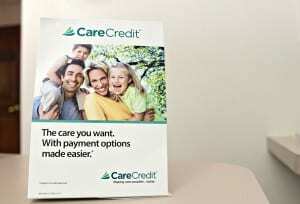 We also offer long-term financing through CareCredit, an outside financing company, often at 0% interest. Ask our office manager about how we can help finance the smile of your dreams or the oral care you need! We are also in network with Delta Dental Insurance, Blue Cross Blue Shield, and certain United Concordia Dental insurance plans. If you’re looking for dental services in Asheville or have questions about payment options, please call us at 828-277-6060. We look forward to being your Asheville family dentist and providing the best oral care from emergency dentistry to regular teeth cleanings. Discover what we can do for you today!